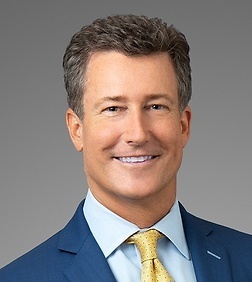 Stephen E. Fox is a partner in the firm's Labor and Employment and Business Trials Practice Groups and co-managing partner of the firm's Dallas office. Steve has spent more than 25 years in boardrooms and courtrooms acting as a trusted advisor and litigation advocate for clients—from Fortune 500 corporations to entrepreneurs—in complicated and often high-profile business and employment disputes. Consistently recognized by peers and clients in state and national surveys as a “go-to” courtroom advocate, Steve is the only lawyer in Texas to be inducted as a Fellow into the nationally-prestigious College of Labor and Employment Lawyers and selected by his peers as one of the top 100 attorneys in Texas. One of Steve’s cases is enshrined in the Texas Jury Trial Hall of Fame. In that case, Steve led the trial effort of a renowned computer-game developer and company executive against one of the world’s largest video game publishers for breaching a stock option agreement, securing a jury verdict of $28 million (and a judgment of $32 million). The National Law Journal identified the award as one of the Top Verdicts in the country. Steve’s recent defense of one of the country’s largest grocery retail merchandising brokers in a wage and hour collective action helped secure Texas Lawyer’s “Litigation Section of the Year” award. In that case, 50 former employees sought to secure collective action status to represent a class of potentially 20,000 employees. After extensive discovery and briefing, the court summarily rejected the plaintiffs’ efforts to conditionally certify the class. Steve’s ability to synthesize complex facts and arguments into understandable and memorable pieces of information makes him a compelling courtroom advocate, as well as a frequent resource to print, broadcast and radio media. He has appeared on local television and radio stations and has been quoted or mentioned in many national publications including Law360, Washington Post, Wall Street Journal, Dallas Morning News, Houston Chronicle, Austin American-Statesmen, The Bureau of National Affairs, The National Law Journal, Christian Science Monitor, American Way Magazine, Entrepreneur Magazine, Modern Healthcare, Aventura, Orlando Business Journal, Dallas Business Journal, and Fort Worth Business Press. Collective action. Led defense of market-leading grocery retail merchandising broker in wage and hour collective action brought by fifty employees who sought to secure collective action status in New Jersey to represent a class of potentially 20,000 employees based on alleged off-the-clock work (including driving commute time, time spent working in retail stores, and time spent performing administrative duties before beginning of and after completion of work day). After extensive discovery and briefing, court summarily rejected plaintiffs’ efforts to conditionally certify class. The case helped secure Texas Lawyer’s “Litigation Section of the Year” award. Class action. Lead counsel for national IT consulting services company in CA-state law wage and hour class action alleging off-the-clock work violations ((including driving commute time, time spent working at client locations, and time spent performing administrative duties before beginning of and after completion of work day), meal and rest break period violations, and under-payment of expenses. After demonstrating material differences between prospective class members (2,800 employees), case settled. Collective action. Lead counsel in defending for-profit college system in collective action brought by outside sales representatives who claimed their positions were misclassified as exempt. After convincing CA court (in a parallel action) to deny class certification status on the basis that sales representatives were exempt as “outside salespersons,” Texas Plaintiff dismissed her collective action allegations. Thereafter, court granted summary judgment on Plaintiff’s claim that employer had willfully misclassified her position. Soon thereafter, case was resolved. Collective action. Led defense of nationwide mortgage broker in lawsuit brought by brokers who alleged that they had been misclassified as exempt and sought to represent class of 250 employees. After extensive discovery and submission of dispositive motion, case settled. Collective action. Lead counsel for industry-leading grocery retail merchandising brokers in defense of wage and hour collective action brought by retail sales representatives who alleged that employer required them to work off-the-clock and failed to compensate them for time spent driving to and from retail stores. Employees sought to conditionally certify a class of more than 15,000 full-time and part-time employees. After extensive discovery, the court granted employer’s motion to deny conditional certification. Collective action. Lead counsel for Fortune 100 semiconductor design/manufacturing company in lawsuit brought by current and former employees who claimed they were not properly compensated for time spent donning and doffing cleanroom attire and walking to and from workstations within company's cleanroom facilities. Plaintiffs sought to certify class of more than 8,000 employees stationed at seven plants located in four states. Court denied Plaintiffs’ motion for conditional certification, and case was resolved. Class/Collective action. Lead counsel for market-leading retail grocery merchandising broker in state law class action filed in CA alleging failure to pay current and former California-based sales representatives for all hours worked by them and to reimburse them for expenses incurred in performing duties, and issued deficient wage statements to them. Plaintiff sought to represent a class of approximately 4,500 employees. After extensive discovery and employer’s submission of dispositive motion, employees agreed to resolve claims. ERISA class action. Lead counsel in defending an ERISA class action brought by two pilots of an airline who claimed that airline and its benefits consulting firm breached fiduciary duties with regard to transferring their pension plans after their former employer was acquired by another airline. Obtained summary judgment, and Fifth Circuit affirmed on appeal. Collective action. Lead counsel representing market-leading grocery retail merchandising brokers in wage and hour collective action brought in Tennessee by sales representatives who asserted claims on alleged off-the-clock work. Plaintiffs sought to conditionally certify a class of more than 15,000 full-time and part-time employees. After extensive discovery, court denied Plaintiffs’ motion for conditional certification, and Plaintiffs declined to appeal. Employment discrimination class action. Assisted in defense of a putative class action filed by former employees of Dallas’ leading newspaper who claimed that black employees were systematically denied promotions on basis of race. Court denied Plaintiffs’ motion for class certification. Employment discrimination class action. Assisted in representing market-leading technology consulting businesses in defense of class action brought by nine former employees, alleging race discrimination and retaliation. After pursuing an aggressive defense of case, court denied the plaintiffs’ motion for class certification. Trade secret theft. Co-lead counsel for Fortune 50 computer/printer company in bringing hundred million dollar lawsuit against former senior-level leadership employees who, while still employed by client, covertly organized and began operating a competing business venture using client’s resources, contacts and trade secrets to steal product designs, market analyses and other confidential and proprietary business information. After prevailing in jurisdictional dispute, case settled. Trade secret theft. Lead counsel for S&P 500 manufacturer of highly complex cancer detection and treatment machinery in bringing action to address theft of trade secrets by former senior-level sales executive, who downloaded thousands of electronic documents containing highly confidential sales, marketing and manufacturing information prior to departure. Obtained TRO barring executive from joining arch-competitor and, after several months of discovery, secured preliminary injunction, enjoining executive and her employer from soliciting business from customers and using client’s confidential information. Trade secret theft/inevitable disclosure. Lead counsel for Fortune 500 semi-conductor design/manufacturing company in bringing state court action against senior leader responsible for developing cutting edge camera technology used in smart phones who sought to join arch-competitor in similar role. Obtained TRO and preliminary injunction against new employer and former employee—prohibiting them from contacting certain customers, using client's trade secrets, and soliciting or hiring client's employees—on basis it was highly likely that former executive would use client’s confidential information in performing new job. Defeated effort by CA-based competitor which filed lawsuit in CA seeking to enjoin enforcement of TRO against executive. Inevitable disclosure. Lead counsel for industry-leading gaming retailer in bringing action to stop company’s former Chief Financial Officer from beginning work for a competing retailer in same role. Although CFO had not signed non-compete agreement preventing her from working for a competitor, obtained TRO against CFO and, thereafter, used TRO as leverage to force acceptance of limitations on executive’s work activities at new employer. Inevitable disclosure. Lead counsel in bringing action on behalf of Fortune 500 electronics firm to address departure of its Chief Marketing Officer who sought to join arch-competitor in same position. Although CMO had not signed non-compete agreement, obtained TRO on basis it was highly likely that former executive would use client’s confidential information in performing new job and, thereafter, leveraged TRO to obtain a settlement preventing former executive from working for competitor for a period of time sufficient to protect client’s trade secrets. Computer Fraud and Abuse Act; breach of fiduciary duty; breach of contract. Led defense of one of the largest independent full‑service national title insurance agencies in the country in lawsuit brought against it and 4 employees it hired from a competing agency. Client was accused of aiding and abetting the employees’ breach of fiduciary duties based on actions that occurred prior to their departure, and of misappropriating the plaintiff-agency’s trade secrets. After filing motions to dismiss the plaintiff-agency’s breach of fiduciary duty, trade secret misappropriation, Computer Fraud and Abuse Act violations, and breach of contract, case settled. Trade secret theft/inevitable disclosure. Lead counsel in bringing lawsuit against nine employees and their new employer after employees abruptly resigned from Fortune 500 semi-conductor design/manufacturing company to join competing company, alleging trade secret theft and contract violations. After obtaining temporary and permanent injunctions against new employer and former employees prohibiting them from contacting certain customers, using client's trade secrets, and soliciting or hiring client's employees, case settled on favorable terms. Trade secret theft. Co-lead counsel for Fortune 50 computer/printer company in bringing hundred million dollar suit against former high-level employees who, while still employed by client, covertly organized and began operating a competing business venture using client’s resources, contacts and trade secrets to steal product designs, market analyses and other confidential and proprietary business information. After prevailing in jurisdictional dispute, case settled. Cyberlaw/trade secret theft. Retained by a Fortune 100 semiconductor company to serve as lead counsel to stop a former disgruntled employee who created several Internet websites containing confidential information and video clips, as well as derogatory comments about the company’s officers. Obtained TRO requiring employee to take down offensive websites and, thereafter, used computer forensics to obtain permanent injunction prohibiting employee from posting company information on the Internet. Breach of contract. Led trial effort of renowned computer-game developer and company executive against one of world’s largest video game publishers for breaching a stock option agreement, securing a jury verdict of $28 million (and a judgment of $32 million). National Law Journal identified award as one of the “Top Verdicts” in the country. Breach of fiduciary duty/breach of contract. Co-lead counsel for private equity fund and its managing principal in dispute arising out of co-partner’s departure from fund. After extensive discovery and multi-week arbitration hearing, the matter was settled. Section 1983. Lead counsel in defense of action against school district, its superintendent, and 4 other senior executives in high profile lawsuit brought by former district employee who claimed her civil rights were violated when she was placed on paid administrative leave (and later terminated) after news accounts showed potential abuse of program she oversaw. Obtained summary judgment on eve of trial, and affirmed on appeal by Fifth Circuit. Section 1983. Lead counsel for Texas County and its commissioners in lawsuit filed by disgruntled employee who was terminated for violating county policy by campaigning for office during working hours and for threatening other employees. Employee asserted retaliation claim under Section 1983, alleging termination was based on his reports of misconduct by county officer and because he ran for public office. Court granted county’s motion for summary judgment and Fifth Circuit affirmed on appeal. Employment discrimination/retaliation/Section 1981. Retained by one of Texas’ largest utilities for defense of lawsuit filed by then-current African-American employee who asserted retaliation claim (under Title VII and Section 1981) for complaining about company’s failure to pay for certification training even though it allegedly had done so for Caucasian employees. Obtained summary judgment. Employment discrimination/retaliation. Lead counsel in defending a county and a sitting Justice of the Peace in lawsuit filed by former employee who was terminated for poor work performance. Termination occurred after employee had filed charge of discrimination, alleging gender and age discrimination and sexual harassment. After being fired, employee asserted claims for discrimination, harassment and retaliation against the county and her supervisor—the Justice of the Peace. After successfully narrowing the scope of the claims through summary judgment, lawsuit was settled on favorable terms. Breach of contract and fiduciary duty. Lead trial counsel in defending Fortune 100 semiconductor firm in a multi-million dollar lawsuit brought by former vendor of quartz materials used in client’s manufacturing processes. Plaintiff asserted it entered into fiduciary relationship with client based on parties' course of dealing. When vendor's business collapsed because of market conditions and poor management, it sued for breach of contract and fiduciary duty. Obtained summary judgment on several claims, enabling client to settle on favorable terms. License to Sue: How the New Texas Uniform Trade Secrets Act Adds to Your Arsenal Against Trade Secret Theft and Corporate Espionage, IP Law Section, Dallas Bar Association, December 2013.